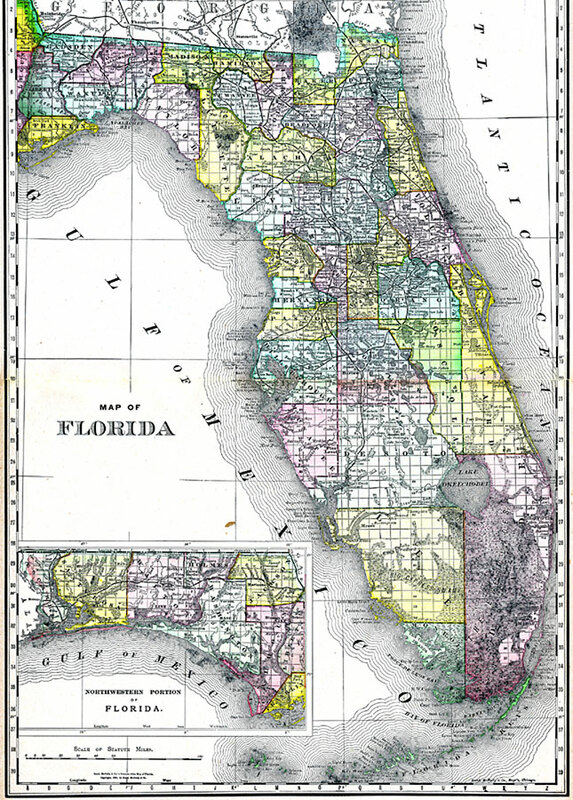 Description: A map of Florida showing county lines, the county seats, railroads, and cities current to 1888. The Everglades and other wetlands are also shown on this map. The Northwestern portion of the state (the Panhandle) is included in an inset map.